Legal counselor, Senior Associate at Kochański Zięba & Partners specialized in the field of national defense and security, offset negotiation (TOT – transfer of technology). 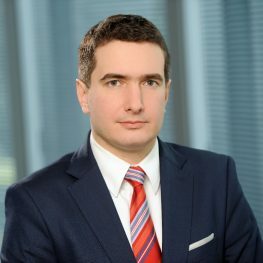 Legal counselor, Senior Associate at Kochański Zięba & Partners. Jerzy specializes in the field of national defense and security, offset negotiation (TOT – transfer of technology), defense procurement and defense R&D. Jerzy gained experience during several years of work in the legal department of Armament Inspectorate of Polish MOD where he specialized in projects concerning the economic aspects of establishment of the defense potential within the companies. His area of expertise also includes the ways of excluding the military procurement from the European defense directive on the basis of art 346 of TFEU. He cooperated with the Office of Offset Agreements and the Department of Offset Programs in MOE. During his career he participated in international offset negotiations with the major armament & ordnance manufacurers of the defense sector. He represented the position of the Republic of Poland during the meetings with the European Commission and participated in the creation of the Defense Whit Paper in G2G.